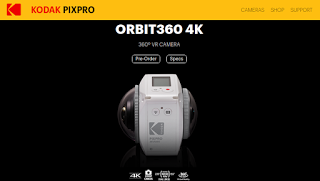 DEALS: Pre-order the Kodak Orbit360 4k (4kVR360) and get a promo code! 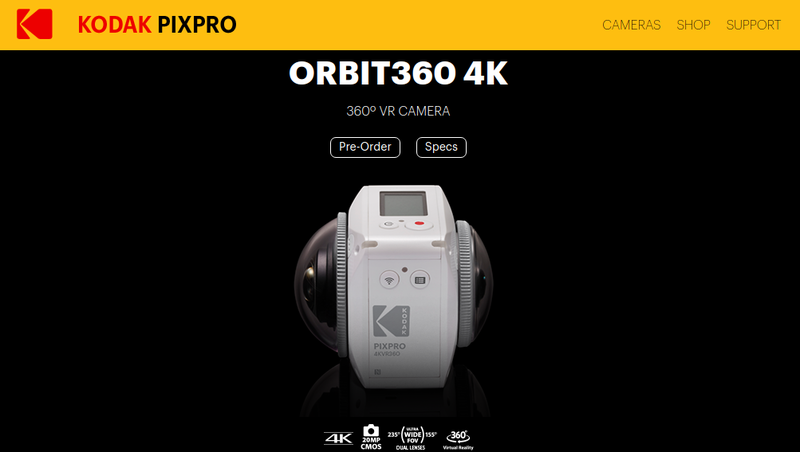 The Kodak Orbit360 4k (formerly called the 4kVR360) is now available for pre-order, and you can get a promo code! UPDATE: Kodak now stopped taking actual orders, and instead will just take preorders. If you sign up on their page, they will email you a promo code that will give you a discount. Sorry for not being able to post this morning – I’ve been crazy busy with all the interesting things I’ve seen at CES… but this couldn’t wait! 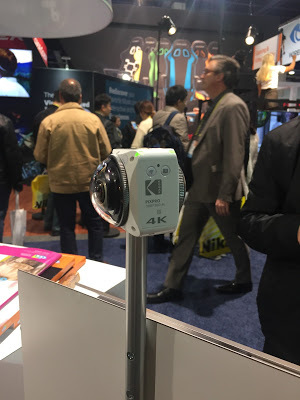 I’ve seen the Orbit360 4k and they have a demo unit livestreaming at the Kodak booth. And it looks pretty darn good! video resolution: 3840×1920 @ 24fps (desktop stitching) or @15fps (in-camera stitching). As you know, the SP360 4k has the best video quality among all the cameras I’ve tested and one of the Orbit360’s lenses is the same as the one in the SP360 4k. But I was worried that the asymmetric design would cause issues with consistency. Looking at the livestream, the image quality looks pretty good on both sides of the lens. Stitching is not perfect because of the relatively wide distance between the lenses, but it’s better than stitching on the SP360 Dual Pro due to less parallax. And Kodak announced that they are now accepting preorders for the Orbit360 with delivery in Q1 2017. Normally the Orbit360 is $499, which is a very good deal considering it’s the same price as one Kodak SP360 4k camera, and this one adds a second lens and sensor, plus more convenient stitching. But in addition, you can get a special promo code by signing up here. Yes I preordered the Orbit360 myself and will be reviewing it as soon as I receive it! Edit: for anyone interested in the Orbit360, I’ve just created a users’ group for it on Facebook.